Andrea and I are at it again!!! We're sharing our favorite thing (or two) under $10! Please join us today. 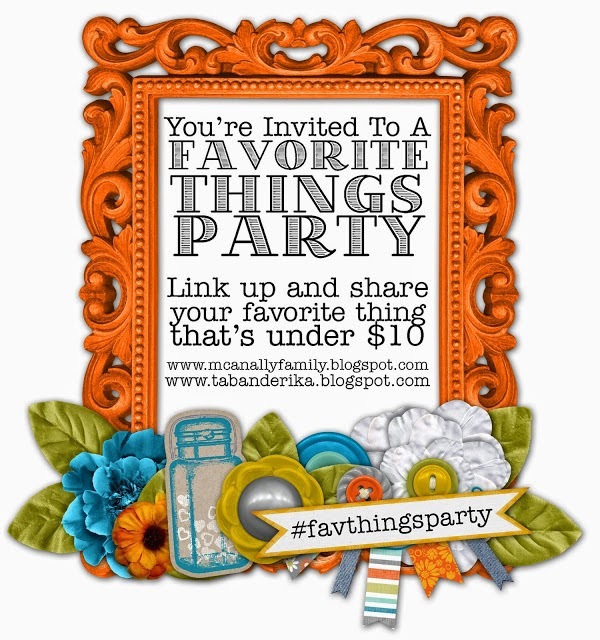 Blog your favorite thing and then link up with us. We look forward to this all month long and can't wait to check out your favorites!! I'm giving you a little back story on mine. A few months ago, I carpooled with Sarah and Narci to a friend's house. When Narci and I got in Sarah's car, we could NOT stop talking about how good it smelled. I seriously went on and on! 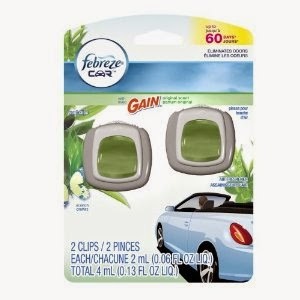 She told us about this Gain air freshener for your car!! A couple days later a surprise was on my doorstep (thank you, Sarah!!). Let me just say that since then I've gotten several comments on how good my car smells!!! I'm going to be honest....the first two or three days the Gain freshener is a little stout. Tab ALMOST made me remove it. But...once you get over that three-day period, YOU WILL LOVE IT!!! 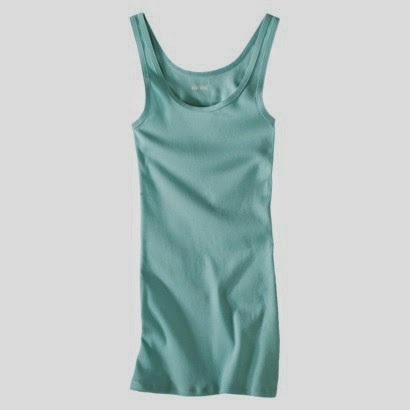 And...some of my VERY favorite layering tanks are on sale this week at Target!! (Thanks, Amy!!) They're on sale for $6.00 in fun summer colors so stock up! I wear these ALL the time!! I can't wait to read about your favorites!!! Please link up! Happy Monday, Ladies!! Your car does smell good! I was one of the people who commented! That Sarah just knows all of the tips and tricks! I keep reading about those tanks, I need to go get some! Great deal on those tanks!! I need to check out those air fresheners! Thanks! My car is always so messy that I like to at least have it smell nice!! I'll have to try that freshener!! And I'm in love with those tanks!! I love when my car smells good, I am going to have to try that air freshener! I need a good air freshener in my car. Will have to check out this one! Ooooh! going to have to try that car freshener fo' sho'! And you know I love those target tanks! I figured it out!!! See, I knew it was totally me!! Am going to Cape tomorrow to get a couple of those tanks at Target too! Thanks for doing this linky!! I just linked up for the first time! I just love your blog!!! Those Target tanks are my favorite and now I've added those air fresheners to my I NEED this list!